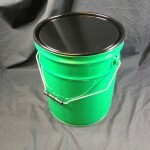 Are your plastic pails and/or steel pails nestable? 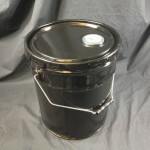 Open head steel pails are normally run tapered so that they will nest for shipping. 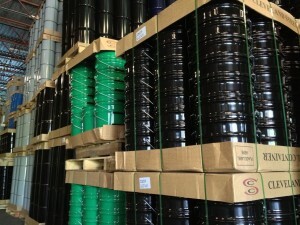 We do stock one steel pail, CSCP2-43-01, that is a straight sided pail which would not be nestable. Our open head plastic pails are all nestable. 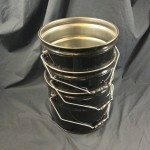 Below please find some images of nested steel pails showing how they look when they are “out of the nest” w/ a cover. If you look closely you will see a taper to each pail. 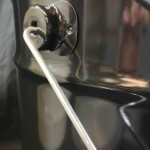 The ridge, a few inches down from the top of each steel pail, is called a nesting bead. 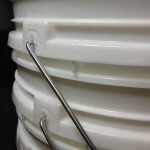 The nesting bead prevents the pails from nesting too deep or becoming pressed together too tightly so as to make it easier to separate them. 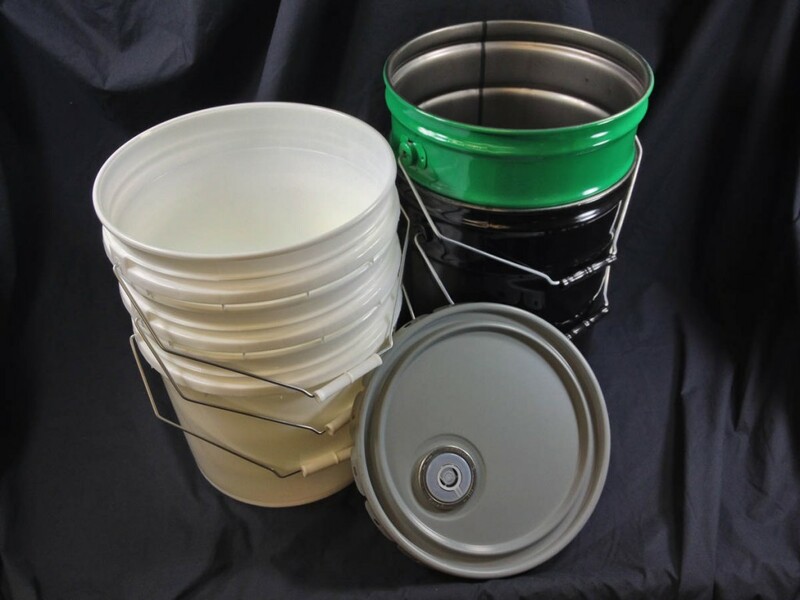 Nested plastic pails utilize a similar system , including a rim around the pail that has small pieces of plastic or feet that rest against the top of the pail below it to prevent them from nesting too tightly. 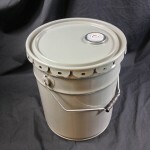 Our steel pails can be found on this page. 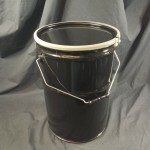 Our plastic pails can be found on this page. The picture on the right shows several types of steel pails stacked in our warehouse. 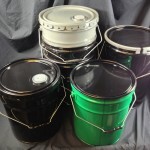 The black pails closest in the image are packed in trays of 84, typical handling unit for most 5 gallon steel pails. Two trays of 84 (168) are typically stacked together on a single pallet. Further back in the image are grey pails that are straight sided tight head steel pails and are not nested. By comparison, only 36/48 of these fit in a tray for about the same volume of storage.